Economists, politicians and business executives typically spend their lives striving for the same goal – bringing prosperity to their communities. Why? The answer appears simple. More money buys more options and security, which, ultimately, leads to greater happiness. But a new study challenges the wisdom of this thinking. The research team, led by Dr. Evelyn Bromet, a professor of psychiatry at State University of New York at Stony Brook, interviewed 89,000 people in a 18 countries, from very poor places to the world's most developed economies. Using a standard set of questions known as the WHO Composite International Diagnostic Interview, they attempted to gauge the prevalence of depression. Their findings: Citizens of wealthier countries are more likely to be depressed. Overall, 15 percent of people in the wealthy countries surveyed experience depression, compared to 11 percent in the low and middle-income countries. The researchers aren't sure why but offer several possible explanations, including less family and community support and higher expectations in wealthy countries and a reluctance of people in lower-income countries to admit to depression. Caveats taken care of, which countries surveyed topped the list? Renowned for its amazing natural beauty, you'd think New Zeland, home of fresh air and impressive landscapes, would offer some comfort to any Kiwi suffering from low mood. But natural wonders don't seem to be enough to keep New Zealand off the researchers' list. 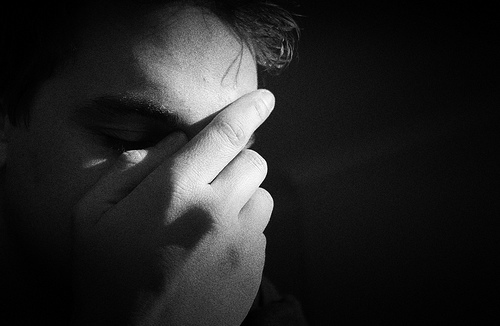 The country comes in at number five with 17.8 percent of people experiencing depression. With its liberal laws and relaxed attitude towards naughtiness, the Netherlands has a reputation as a country that's pretty laid back, and it is often cited as a place with something to teach the world about quality of life. But the numbers in this study don't support that, showing that tulips, bicycles and a generous welfare state aren't enough to keep the Dutch rate of depression particularly low. 17.9 percent of people there experience depression. It's surprising that Brazil is on this list for a couple reasons. Famed for its amazing beaches, gorgeous women and over-the--top carnival, Brazil is not normally a country associated with low mood or general gloom. But the South American state actually topped the rankings of medium and low-income countries with 18.4 percent of those surveyed reporting having been depressed. #2 -- U.S.A: Land of the Free, Home of the Depressed? Besides being citizens of the world's largest economy, Americans have a reputation (and a sense of themselves) as an optimistic people, ready to ride out and meet any challenge without being daunted by its size or difficulty. But despite this impression of the U.S.A. as the land of sunny dispositions, America actually took the second slot on the researchers' list with nearly one in five (19.2 percent) people reporting experiencing depression. #1 -- France: Liberty, Fraternity... Depression? With their laid back lifestyle, amazing food, chic fashion and general appreciation of the finer things in the life, the French are renowned for knowing how to live well. (They are even better at getting sick than Americans, according to Michael Moore). But in one area of life at least Americans really shouldn't be using the French as a model -- mental health. With 21 percent of French people reporting experiencing depression, they were the only people with a higher incidence of the condition than Americans.